"A sensation of freshness, spontaneity, surprise"
"Zuguambé is a reference record. A musical splendor. " willingly, celebrating, the light with tears,." 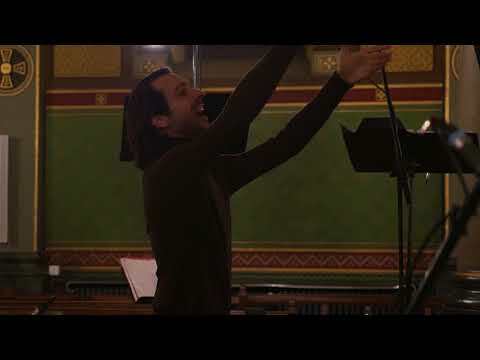 Capella Sanctæ Crucis was created by Tiago Simas Freire in 2012 as a professional laboratory for study and interpretation of Portuguese polyphony. It is the practical sound image serving as a counterpart to a theoretical multidisciplinary research work, in cooperation between Coimbra University's "Center for Classical and Humanistic Studies" (Portugal), Superior Conservatory of Lyon and University of Saint-Etienne (France). The work undertaken builds bridges between scientific research and the quest for a musical result, bringing to light the great value of this mostly unknown Portuguese musical heritage. The Ensemble owes its name to the Chapel of the monastery of Santa Cruz de Coimbra, from whence the XVIth c. and XVIIth c. musical manuscripts on which the research work is based originate. 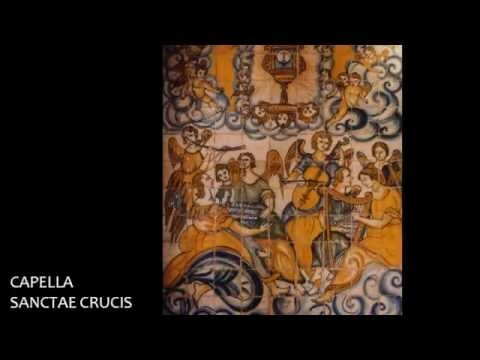 Capella Sanctæ Crucis contributes to the sound research on the origins of Portuguese Baroque Music, in its Iberian and European context. A stable and faithful team gathers musicians that have graduated from some of the leading European centers in the study of early repertoire: namely from the Superior Conservatories of Lyon (France), Den Haag and Amsterdam (The Netherlands), and the Superior Music Schools of Barcelona - ESMUC (Spain), Geneva - HEM (Switzerland) and Oporto - ESMAE (Portugal). Since its creation, Capella Sanctæ Crucis has performed in France ("Festes Baroques de Bordeaux" Festival, Ambronay Festival, Cité de la Voix in Vézelay, "Contemporary Religious Art Biennial" in Lyon, CNSMD in Lyon, Centre Culturel Voce in Pigna), in Portugal (University of Coimbra, Sta Clara‑a‑Velha Convent and Coimbra's "Sé Velha", "Reencontros Festival" in Sintra, "Sons Antigos a Sul Festival" in Lagos, "Encontros de Música Antiga" in Loulé, São Roque Music Season in Lisbon, International Music Festival in Póvoa de Varzim), in Italy ("Pavia Barrocca" Festival) and in Latvia ("Mazā Ģilde" in Riga). In 2017, the Ensemble's first CD - “Zuguambé” - was released by the renowned label Harmonia Mundi, and Tiago Simas Freire graduated as Doctor in Music and Musicology. In 2018, Capella Sanctæ Crucis is in residency at Royaumont Foundation and at Sainte-Croix Center in Drôme, with the support of the French Ministry of Culture. In 2019, it is expected that its second CD - "Requiem de Coimbra" - will be released.